Product Details How to play Cello the professional way Do you hold your cello correctly? Do your hands seize when playing the cello? Sylvia Mann explains, clearly and concisely, good basic cello techniques and equally important, what not to do. Are any of these cello problems familiar? 1. My left hand fingers sometimes miss the string when I am aiming for a note. 2. My left hand fingertips get sore 3. My neck and shoulders hurt after I have been playing for a short while. 4. I can't hold the bow for very long before my hand seizes up, particularly in fast passages. 5. My left hand fingers collapse when I press them onto the strings. 6. My left hand feels tense and aches when I play. 7. My wrist aches when I have been using vibrato for only a short time. 8. How do I gain confidence in shifting position? 9. How do I play loudly and softly and maintain good sound quality? Whether you are a beginner or an old hand, you will find the book a great help in getting you playing better. What's more you will ENJOY your playing a lot more. About the Author Sylvia Mann Author of the Cello Technique Doctor. 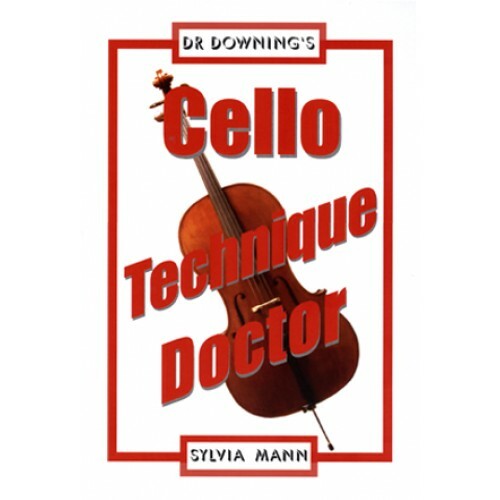 Formerly Principal Cellist in the BBC Radio Orchestra, Sylvia studied at the Royal Academy of Music, London. A busy freelance performer, Sylvia also teaches and practices creative music therapy.